The Department of Automobile Engineering was started in the academic year 2001-05 with a sanctioned intake of 60 students. The department has dedicated and qualified faculty members. The department follows the syllabus of the Anna University and to supplement the syllabus, guest lectures and Industrial visits are organized. Laboratories are well equipped with latest equipments such as modern engines, chassis dynamometer, exhaust gas analyzer, pressure crank angle measurement systems, fuel testing equipments, etc. The department is consistently getting Anna University Ranks in past 2 years. 2013 : Batch secured Gold Medal. 2014 : Batch secured 6th Rank . Our students are given special inplant training for 1 week at ATS-ELGI, Coimbatore on current scenario in Auto sector. All the students are arranged for Industrial visits to Auto industries such as Ashok Leyland, ARAI,Volkswagon,Ucal etc. and in Auto Expo in Delhi. Every year the department conducts National level seminar like Auto Meet, Autofest on Recent trends in Auto technology, Alternative fuels etc. with Industry experts and eminent Professors from IIT,MIT etc. and also conducts Workshop on RC car designing. Our students are also given proper Training in Soft skills, Communication skills etc. every year. .
Our students are placed in industries such as Maruti Udyog Ltd., India pistons, Ucal, Bosch, Caterpiller etc. Most of the Alumni are occupying Managerial position in the Auto industries where they are working. To provide the right ambience and environment to create engineers who will serve the needs and demands. To be the institution for Automobile Engineering education, encompassing leadership, innovation and service. personality with positive attitude and a character with strong moral values. To provide students with a solid foundation in the mathematical, scientific and engineering fundamentals necessary to formulate, solve and analyze engineering problems and to prepare them for higher studies. To develop the ability among students to synthesize data and technical concepts for application to automotive design. 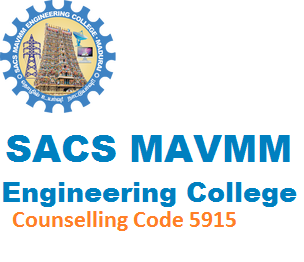 To inculcate in students professional and ethical attitude, effective communication skills, teamwork skills, multidisciplinary approach and ability to relate engineering issues to broader social context. To promote student awareness for life-long learning and to introduce them to professional ethics and codes of professional practice. To provide a student with an academic environment aware of excellence, leadership, written ethical codes and guidelines and life-long learning needed for a successful professional career. 1. Graduates will gain a strong foundation in core Auto mobile Engineering, both theoretical and applied concepts. 2. Graduates will have ability to apply the knowledge of mathematics, science, and engineering to real-world problems. 3. Graduates will demonstrate the ability to design and conduct experiments, interpret and analyze data, and report results. 4. Graduates will demonstrate the ability to design an automobile/mechanical system or a thermal system or a process s that meets desired specifications and requirements. 5. Graduates will demonstrate the ability to function on engineering and science laboratory teams, as well as on multidisciplinary design teams. 6. Graduates will demonstrate the ability to identify, formulate and solve automobile/mechanical engineering problems. 7. Graduates will demonstrate an understanding of their professional and ethical responsibilities. 8. Graduates will be able to communicate effectively in both verbal and written forms. 9. Graduates will have the confidence to apply engineering solutions in global and societal contexts. 10. Graduates should be capable of self-education and clearly understand the value of life-long learning. 11. Graduates will be broadly educated and will have an understanding of the impact of engineering on society and demonstrate awareness of contemporary issues. 12. Graduates will be familiar with modern engineering software tools and equipment to analyze automobile engineering problems.